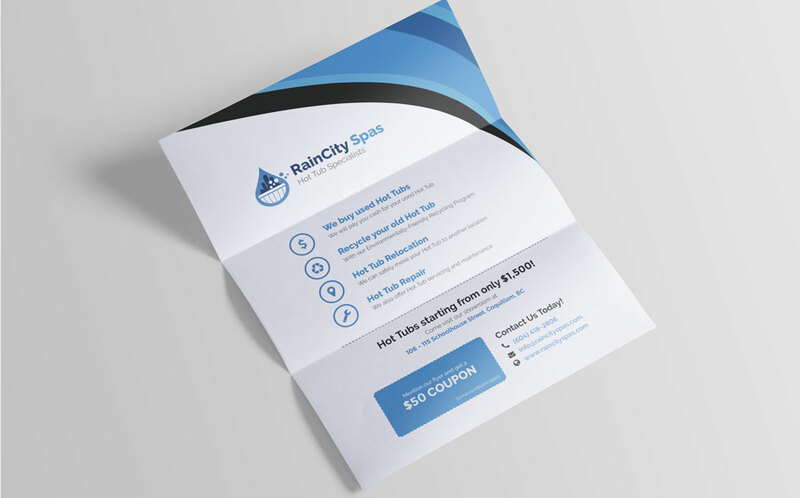 Operating out of Coquitlam, British Columbia, RainCity Spas is a small business that specializes in hot tub relocation, hot tub repair, and hot tub removal. 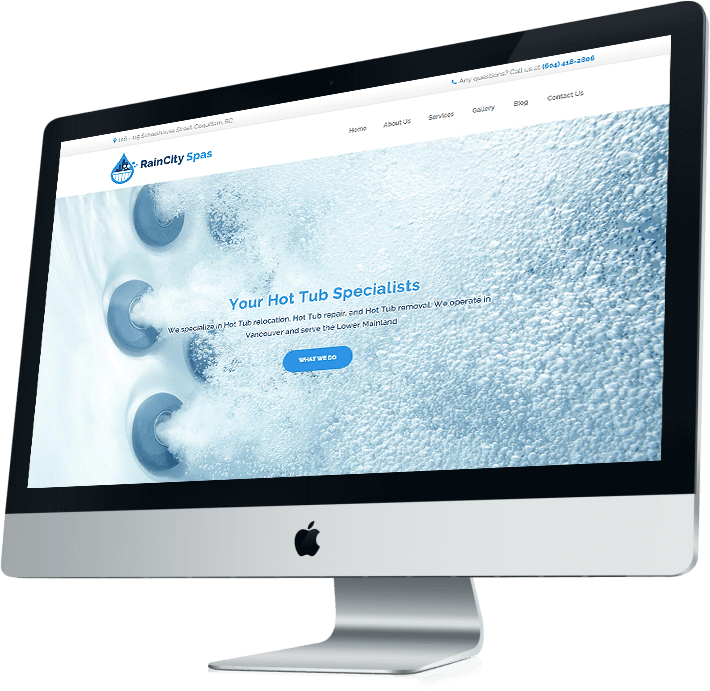 They are professionals who are responsible for selling and installing hot tubs into homes all over the Lower Mainland, and they wanted a friendly image and online presence that conveys the same enthusiasm that they have for hot tubs. 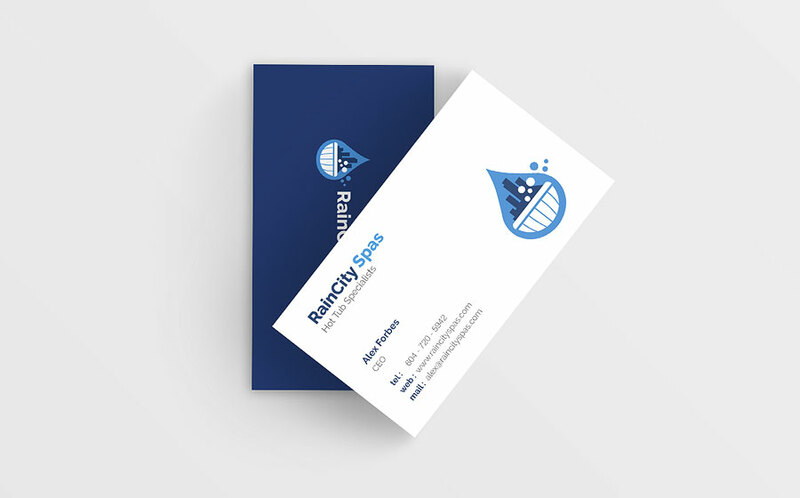 After talking with the client and considering the target audience, it was clear that we needed to create a professional brand aesthetic that is also charming and friendly. 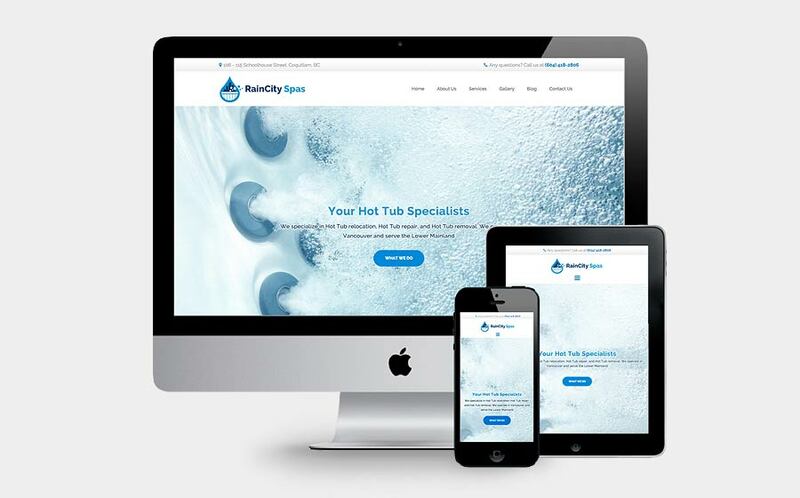 The client also explicitly stated that he wanted to have 2 things in the logo: a hot tub and the Vancouver skyline. I took these two items and played around with possible compositions. I made sure to stick with rounded shapes and pastel colours to achieve a soft and friendly look. After figuring out the branding, it was time to start working on the website. 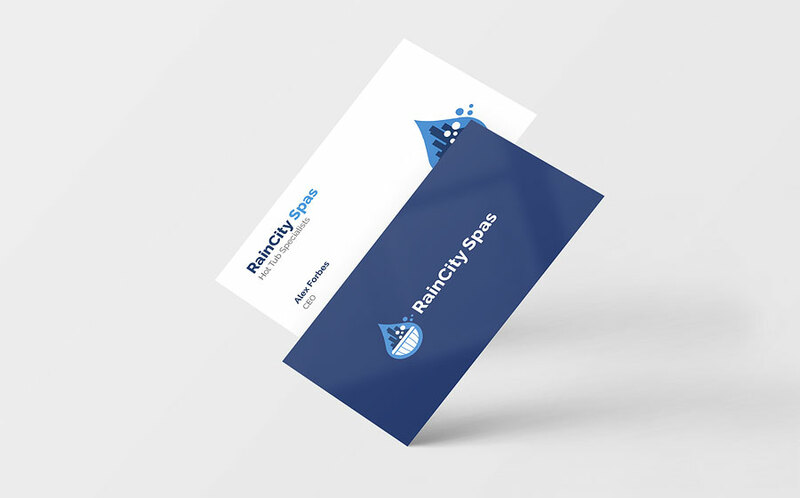 The aim here was to incorporate the same professional look & feel, while also making sure that the website is pleasant and inviting. The homepage is centered around a full-screen splash image, with some of the services that they offer listed below. I experimented with circular shapes for the elements on the site, and decided to go with a rounder typeface for the body text. 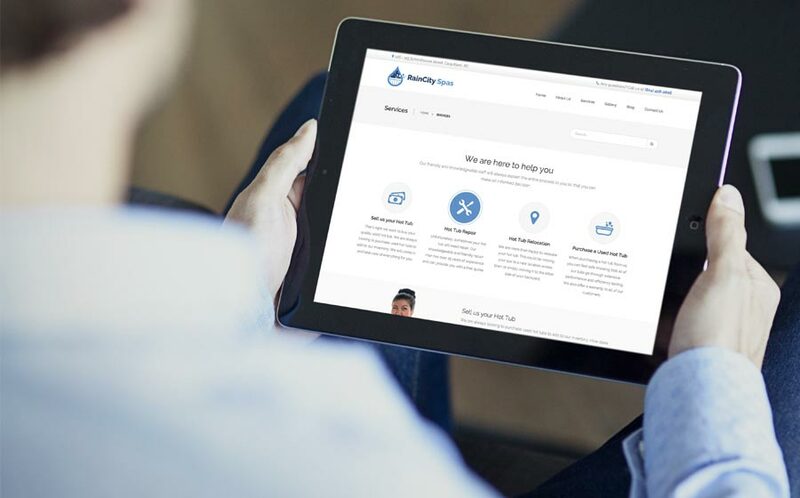 The entire website was built using Wordpress. All of the pages were coded to work across all devices and different screen sizes. 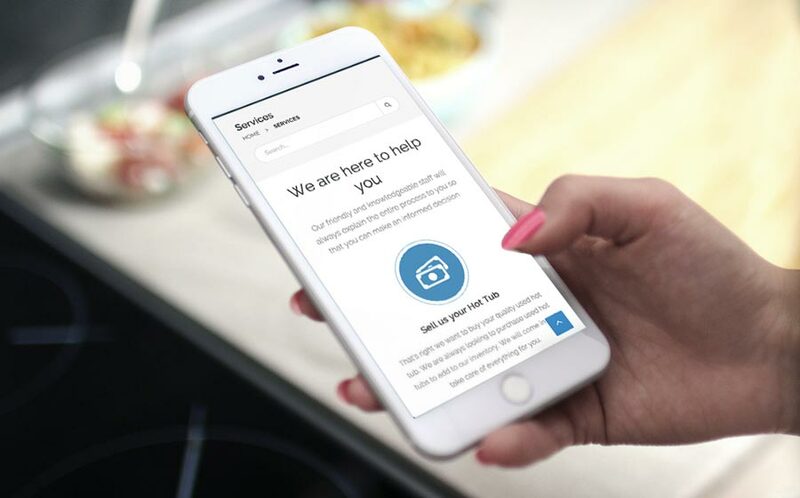 I was very appreciative of the opportunity to work on this project and I had a great time helping my client build a solid brand and web presence for their company. We enjoyed working together during the creative process and we’re all very happy with the final outcome.